i can’t lie, i am feeling a tad sluggish today due to over indulging last night on one too many vodka/water with limes along with a few pbr tall boys sporadically added into the mix. after spending the evening with good friends at one of my favorite staples, the bulldog, i scarfed down half of my favorite caffrey’s sandwich to really finish off the night in true form. did i mention i love uptown minneapolis? 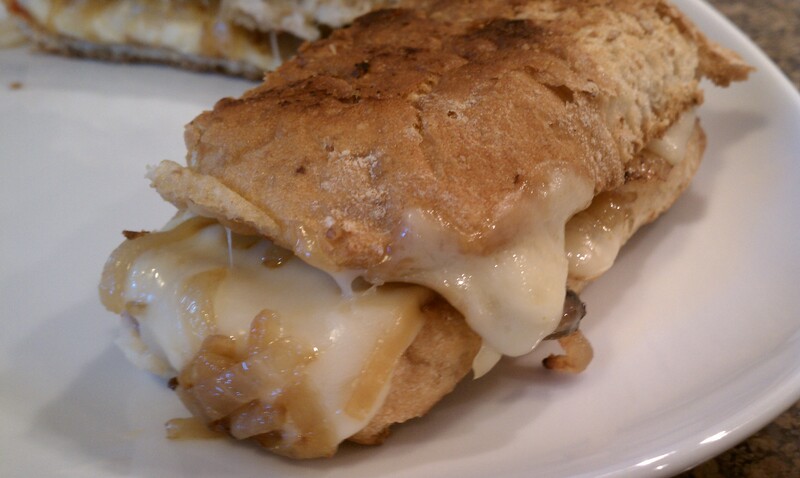 which, leads me to making this sandwich today for lunch. hoping to help cure the lingering headache and what better than cheese to do that. my inspiration for this sandwich came from me being too lazy to drive to the store to get ingredients for reubens, one of my other all time favorite sandwiches. 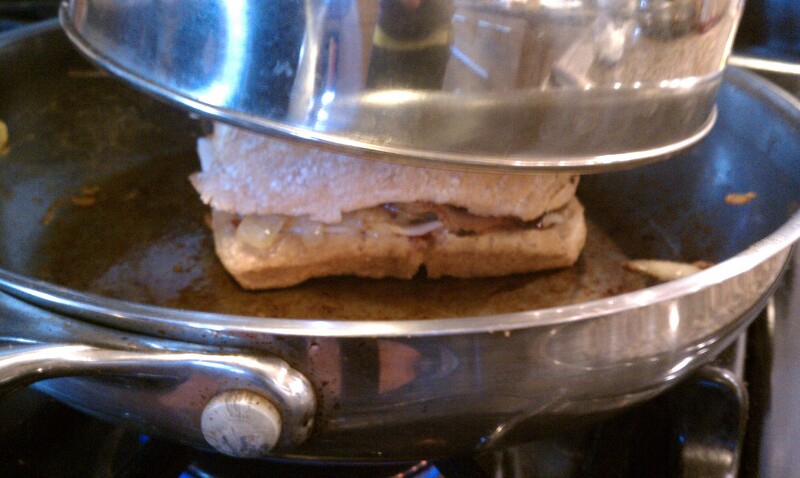 so, in honor of one of my favorite neighborhoods in america, i bring you the uptowner grilled cheese. 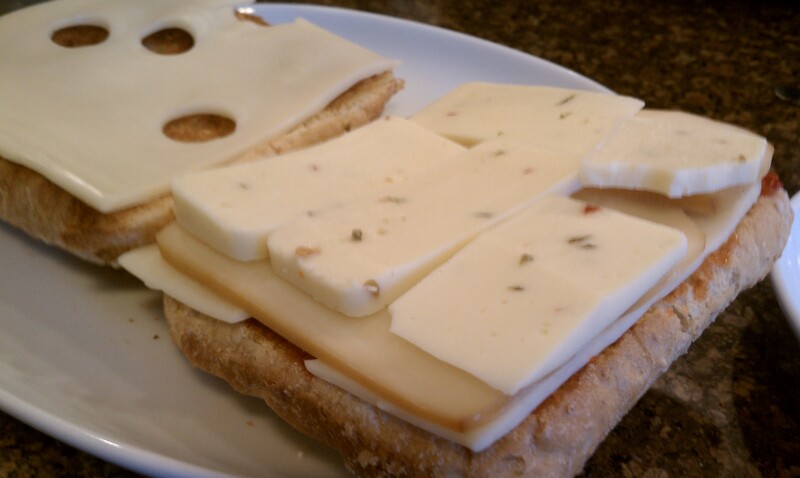 toasted and buttered a whole wheat ciabatta roll and layered on swiss, smoked swiss, and hot pepper cheeses. spread some hot pepper jam on the inside of the roll. 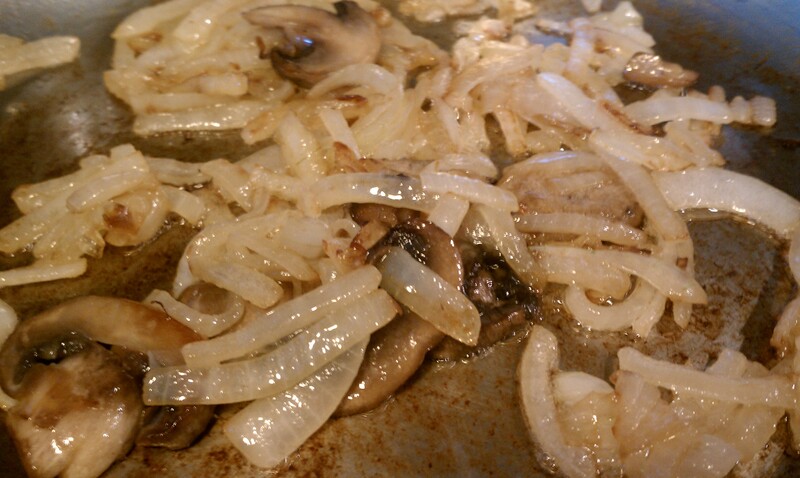 caramelized some onions and mushrooms. 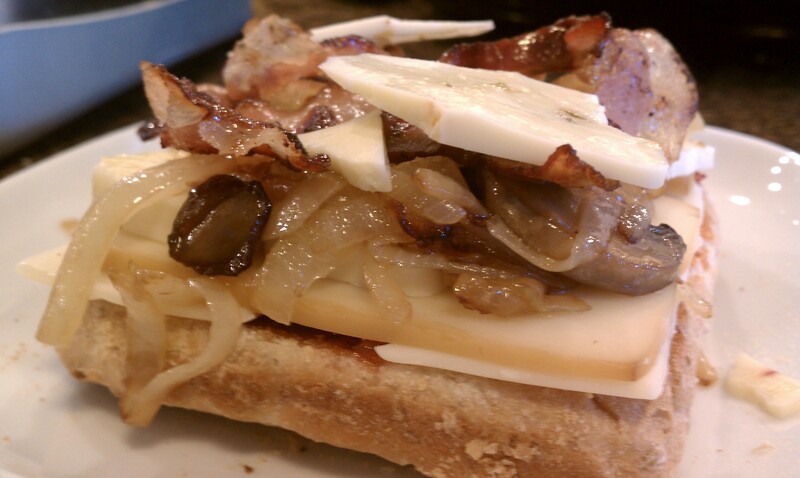 cooked some prosciutto and added that with the onions and mushrooms onto the cheese. 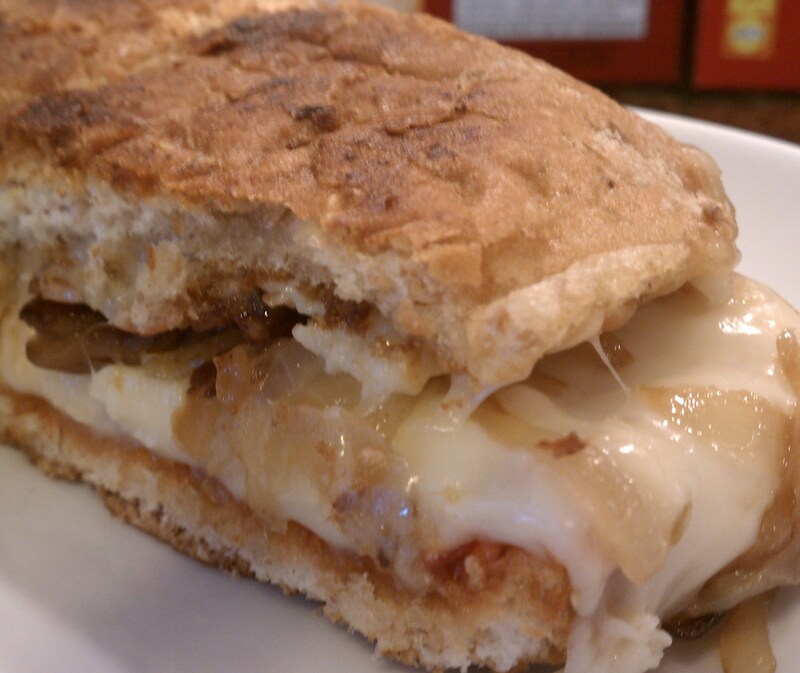 ate the sandwich and felt better about life while contemplating over making it again. Darn! I really shouldn’t have read these particular entries pre-breakfast time. Now I’m starving. This one looks delicious!